Older homes are more likely to have lovely plaster walls and ceilings rather than drywall. However, if you find yourself requiring plaster repair, you’ll need the expertise of a qualified contractor who has experience working with interior and exterior plaster projects. To help you find the right person for the job, here are a few helpful tips. 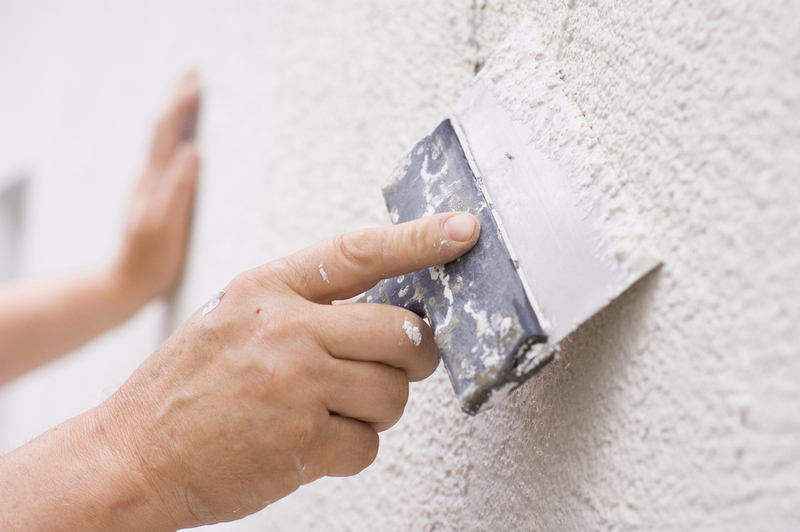 Some of your friends and neighbors may also have older homes with plaster walls and ceilings. If so, ask them if they’ve had any work done in the past. They could tell you whether their contractor took care of the repairs in a timely fashion or if they simply tore out the damage and replaced it with drywall. Asking your friends and family for recommendations first will point you in the right direction of a skilled plaster repair contractor. It’s usually not a good idea to settle on the first contractor you contact; they may not be as qualified as you think. It’s better to shop around until you find the best company that has skilled, experienced technicians who can perform your plaster repairs at an affordable price. You can determine who’s best for the job by reaching out to several contractors and getting time and cost estimates for the project. Don’t be afraid to call a contractor’s references to learn more about their track record. Past clients will tell you crucial information about the company and their workers, such as how long they took to complete the job, if the cost estimates remained within budget, and whether they were satisfied with the final result. It’s an excellent way to gauge if the contractor is proficient in his or her work. It also tells you if he or she is open and honest. If you are unable to locate past clients, or if the contractor refuses to give references, it could be a sign that they don't have enough experience. If you need high-quality plaster repairs at reasonable prices, you can trust the team at A & R Drywall to get the job done. As the go-to drywall contractor in Lexington, KY, they have over 20 years of experience performing a variety of services for homeowners and businesses throughout the area, such as remodeling, water and fire restoration, and plaster and drywall repair. For more information, call (859) 272-2799 to speak with a helpful team member or visit their website today.